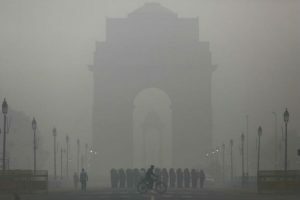 Despite a number of initiatives implemented to curb pollution, the situation in India remains grim. Though fast-paced development, industrialization and rapid expansion of cities made India the fastest growing country, yet it has also open doors to serious repercussions. Air pollution in one of them and is considered as one of the major health hazards in India. Having said that, it is important to take the right steps to protect ourselves from air pollution. It is necessary to have a basic knowledge about air quality, types of pollutants present in the air, and choosing the right air purifier based on the pollution level. Every year Delhi makes it to the headlines because of its toxic air quality. Burning of crops, diesel generators, industrial smoke, and vehicle exhaust are some of the reasons that contribute to the problem. Excessive smog, high particulate matter, hazardous air pollutants such as mercury and formaldehyde have an adverse effect on the residents of Delhi. In addition to the outdoor air, these pollutants also have an impact on the indoor air quality. Considering the effects of air pollution, installing the best air purifier in Delhi NCR, wearing masks when outside, installing car cabin air purifiers, staying hydrated, and eating healthy can help in handling the side-effects of pollution. Some new research also suggests that air pollution affects cognitive development. Presence of PM 2.5 in the indoor air, when inhaled, enters the bloodstream and leads to blood-brain barriers degeneration. This can damage the neural tissue, neuroinflammation and oxidative stress. Taking some precautionary steps such as installing the best air purifier in Delhi/ NCR will help you and your family to breathe safe, live healthy. Not just outdoor, but indoor air pollution is also a serious concern that most of us tend to ignore. Presence of cigarette smoke, cooking smell, dust mites and PM 2.5 deteriorate the indoor air quality and cause a number of health problems. Installing HEPA air purifiers at home, offices or even in car cabins can filter out the pollutants and improve the indoor air quality. HEPA air purifiers catch and trap the indoor air pollutants that are less than 0.3 microns in size, with an accuracy of 99.9%. However, before making the final decision, check the air purifier price in Delhi to make the right decision. 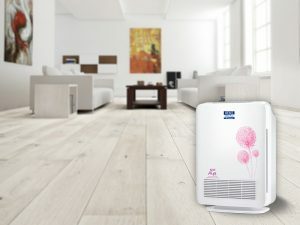 Why Opt for KENT Air Purifiers? 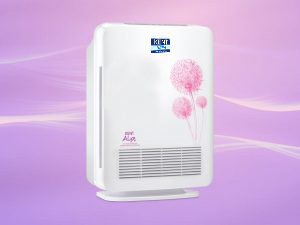 Among the different air purifier brands available in the market, KENT provides some of the best quality products. The four-stage purification process, silent operation, and intelligent air quality monitor make it one of the best air purifiers for Delhi pollution. HEPA air purifiers from KENT also removes odor, pet hair, pollens, etc. present inside your home. The high purification capacity of air purifiers cleans the indoor air instantly. Visit our website to find out more about air purifiers from KENT.